Chris Mellor's NAND chips are going to stay too pricey for flash to slit disk's throat... is based on analysis from Gartner. It continues the theme that I've been stressing for quite some time; flash will not displace hard disk from the bulk storage layer of the hierarchy in the medium term. Follow me below the fold for some commentary, and more graphs. 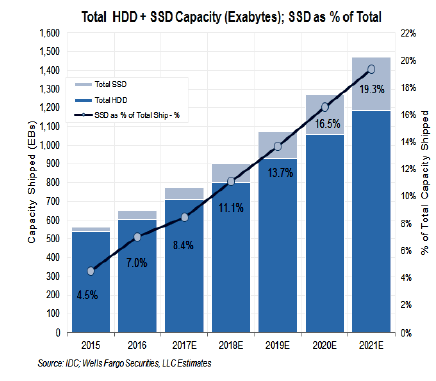 dramatic drop in average SSD prices, from around $0.84/GB in 2014 to an anticipated $0.10/GB in 2021. Disk drive price erosion is happening at what looks like a slower rate, from around $0.085/GB in 2014 to $0.001 or so in 2021. Actually, Gartner is projecting almost the same Kryder rate, around 25%, for SSD and HDD, which is a point that Mellor makes. If both had the same Kryder rate, the cost ratio between them would naturally stay the same, as it does in the model graph Mellor shows, using a Kryder rate of 30%. 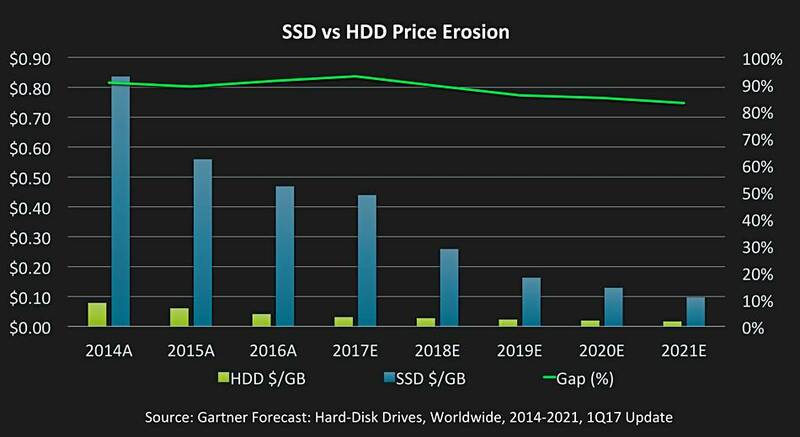 Gartner's Kryder rate for SSD is slightly faster that that for HDD, resulting in the slight decrease they show in the $/GB gap from 2017 to 2021. 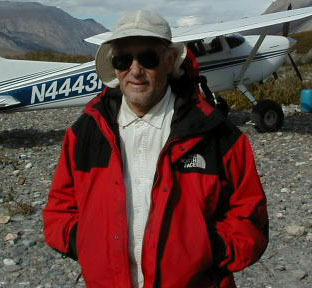 Projections from Gartner and others are driven by the manufacturers' claims as to when they will deliver technological advances. Historically, these have been beloved of the good Doctor Pangloss, leading to similar optimism from the market analysts. 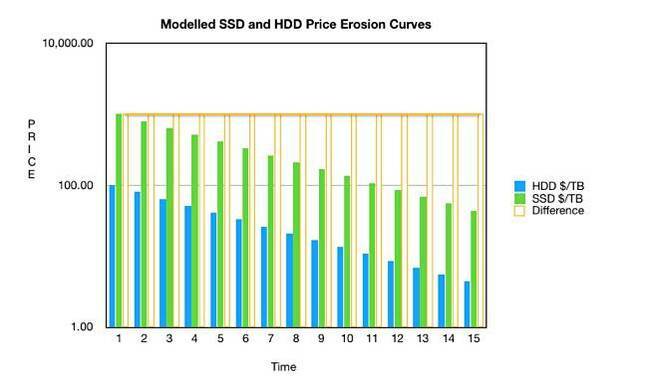 Which is to say that I'm skeptical that the Kryder rate for either SSD or HDD over the next few years will be over 20%. But none of this addresses the main reason that flash will take a very long time to displace hard disk from the bulk storage layer. The huge investment in new fabs that would be needed to manufacture the exabytes currently shipped by hard disk factories, as shown in the graph from Aaron Rakers. This investment would be especially hard to justify because flash as a technology is close to the physical limits, so the time over which the investment would have to show a return is short. 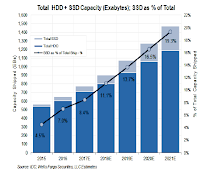 "revenue for the flash storage industry will decline for three years. IDC's latest flash revenue numbers predict 2018 revenues of US$58.8bn, $55.6bn for 2019 and $57.3bn in 2020."